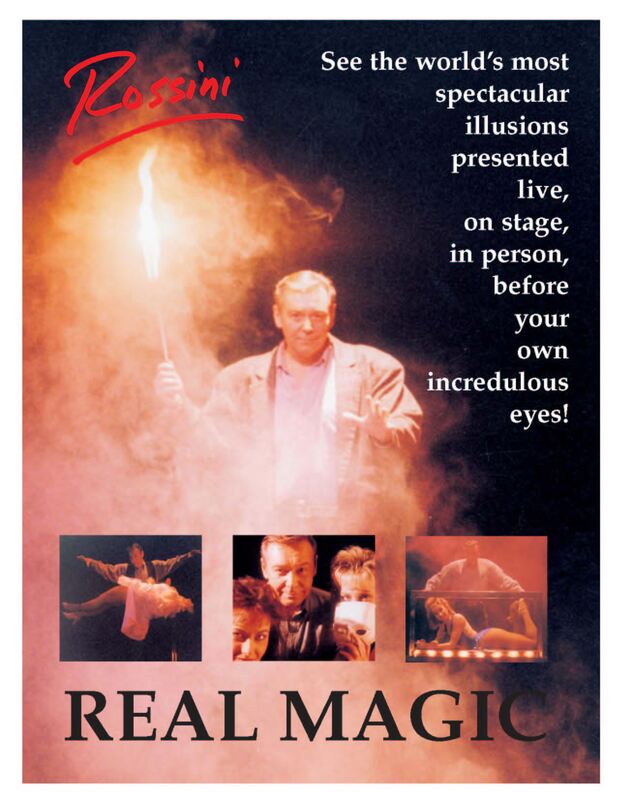 For the ultimate “larger than life” production there is – ROSSINI – REAL MAGIC – Magic & Grand Illusion Spectacular! This is it. The large, exciting, full stage illusions with the complete cast! 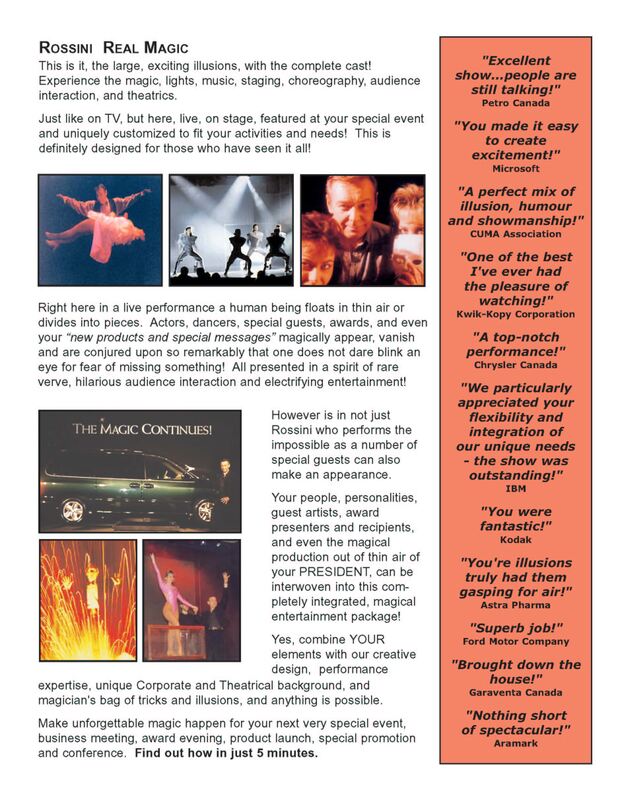 Experience the magic, the lights, music, staging, choreography, audience interaction and theatrics. Just like on TV, but it’s here, live on stage, featured at your special event and uniquely customized to fit your needs! THIS IS A CUSTOM CREATED PRESENTATION. THE MAGIC OF RICK ROSSINI! 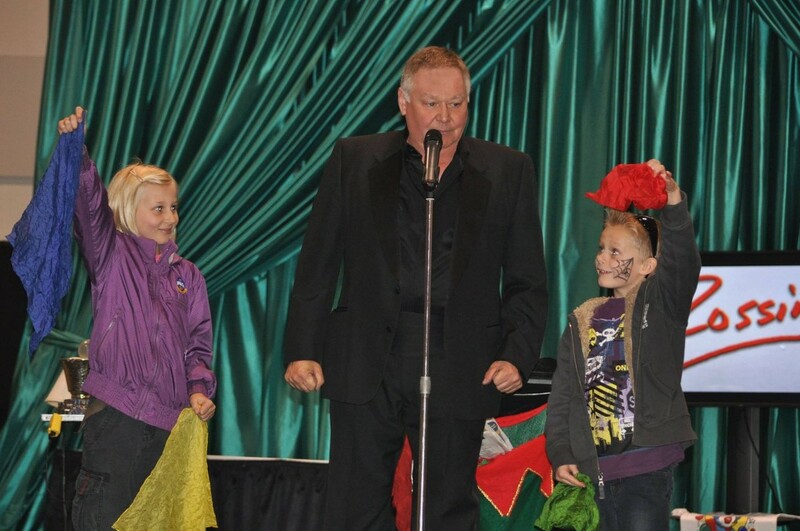 This is an amazing and dynamic FAMILY Show filled with good clean fun, fantastic surprises, incredible magic, and all assisted by members of your audience. Imagine the impossible made possible, and so much more! And intermixed within this amazing magic and audience participation are some crazy one-liners, unique situation comedy, and theatrical Magic story telling! Kids love his visual effects, playful rapport, action and comedy, and how they get an opportunity to join Rossini and become Wizards themselves! Parents love the good clean humor, unique approach and his custom created material! Available in different show sizes and performance lengths. 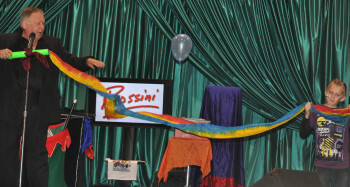 Be a part of the magic as Rossini works with your audience to make real magic happen!